Show mom just how much she means to you with this collection of 20 Mother’s Day brunch recipes. From French toast, crepes, waffles, pancakes, donuts, quiches, scones, and various sweets, here you’ll find plenty of brunch recipe ideas for Mother’s Day. There are even a few surprises such as a homemade S’mores frappe, vegan biscuits and gravy, French toast bites, and tiramisu waffles. If you’re wondering what to make for Mother’s Day Day brunch, read on for inspiration. If you want wholesome, filling or rich breakfast and brunch recipes that mom will love, then choose the following savory recipes. Lots of them can be a complete breakfast on their own or try them as an addition to your brunch menu. The following recipes are best made right before serving. Let mom relax while you cook them, or get her involved for some extra family time. Serve them hot and fresh for best flavor and texture. If there are any dietary restrictions in the family, this one’s for you. 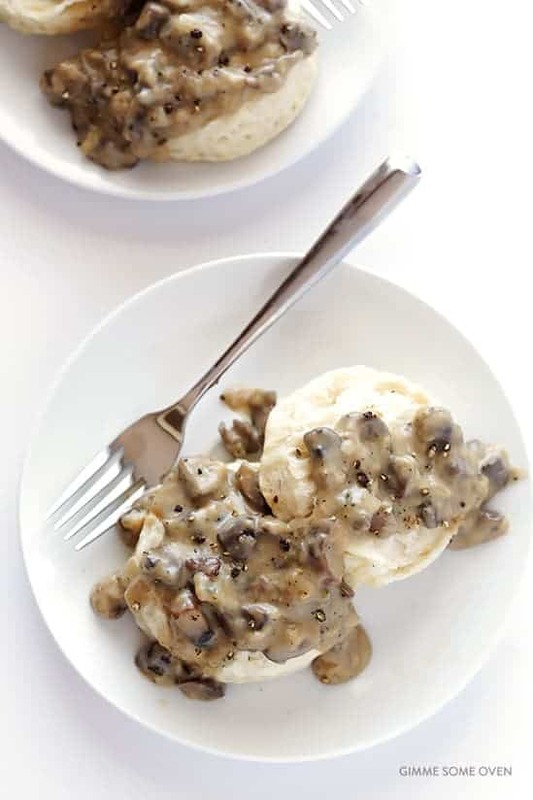 These vegan biscuits with mushroom gravy are wonderfully delicious and comforting. The gravy is made with almond milk and other vegan ingredients…all in less than 30 minutes. Tacos may not typically be considered a breakfast item. Hopefully, that changes with these Sweet Potato Breakfast Tacos. 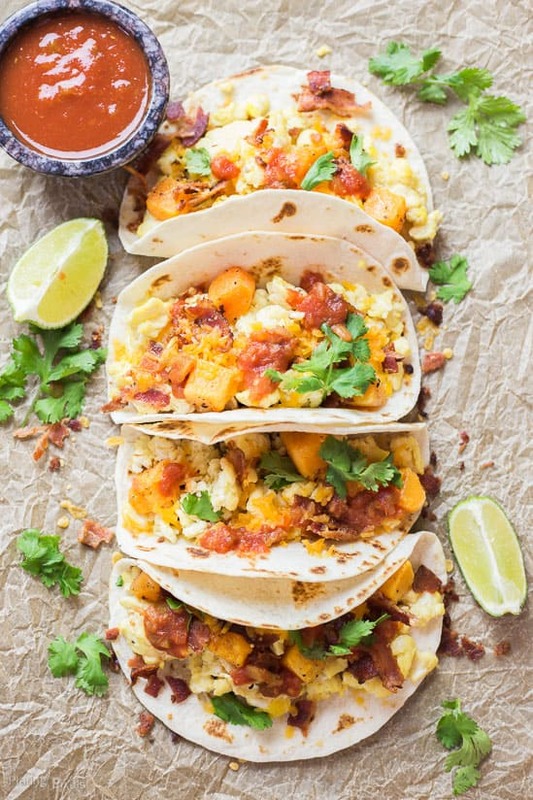 Start with roasted sweet potato cubes, then combine with crisp bacon pieces, scrambled eggs, and cheddar cheese in tortillas for a truly unique breakfast experience mom and the entire family will enjoy. A complete breakfast packed into cute little muffin cups. 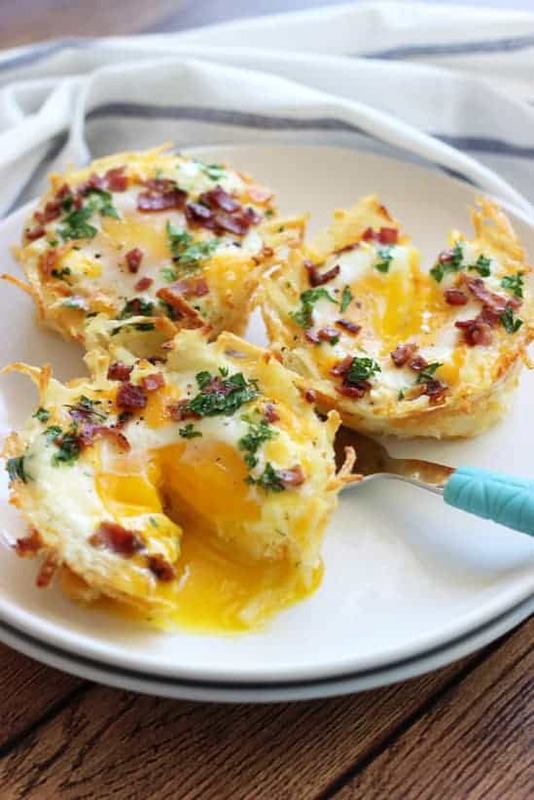 Eggs, bacon, and cheese in a hash brown ‘nest’ are sure to delight the entire family. There’s also an option for low-carb muffins without the hash browns. Part sweet, part savory, 100% amazing. 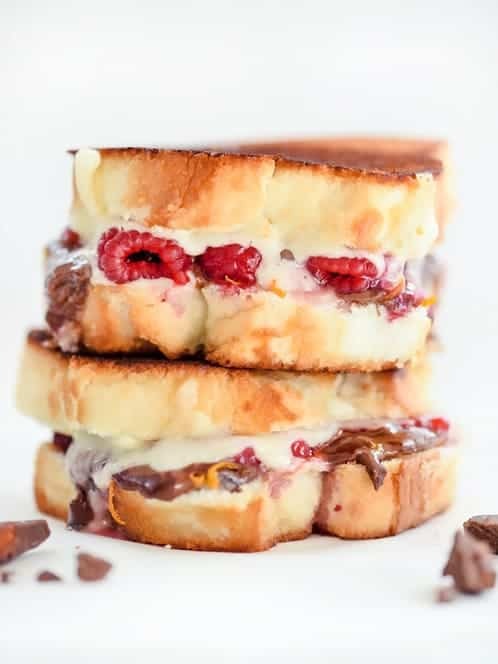 Mascarpone, raspberries, milk chocolate, almonds, and orange zest are melted between thick pieces of angel food cake in this surprising take on grilled cheese. I may never be able to go back to plain cheddar grilled cheese sandwiches again. The following recipes are great for prepping ahead, leaving more time for visiting with mom. Whether it’s quiches, frittatas or savory scones, make these the night before Mother’s Day and reheat the morning of. These are better fresh the day of, but will be just as tasty if made ahead. 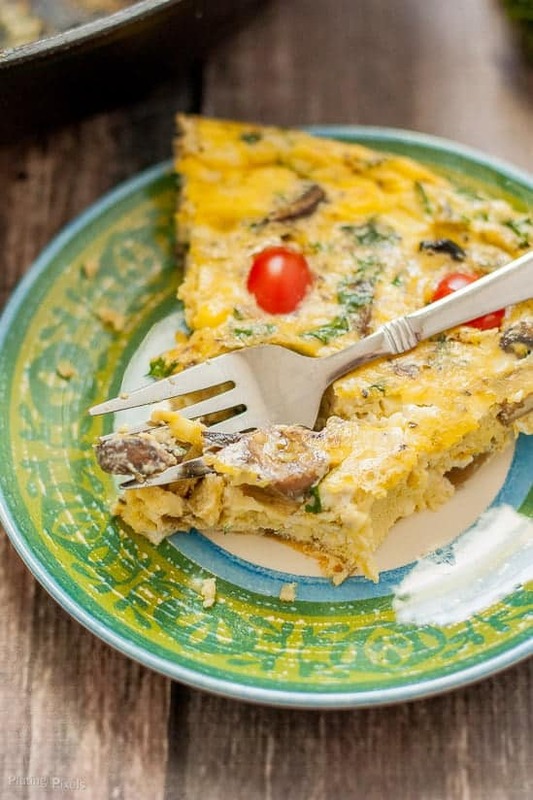 A simple frittata loaded with whole ingredients such as kale, mushrooms, and tomatoes. The vibrant colors make a beautiful presentation and are sure to impress mom. It’s also gluten-free and vegetarian, with plenty of protein. 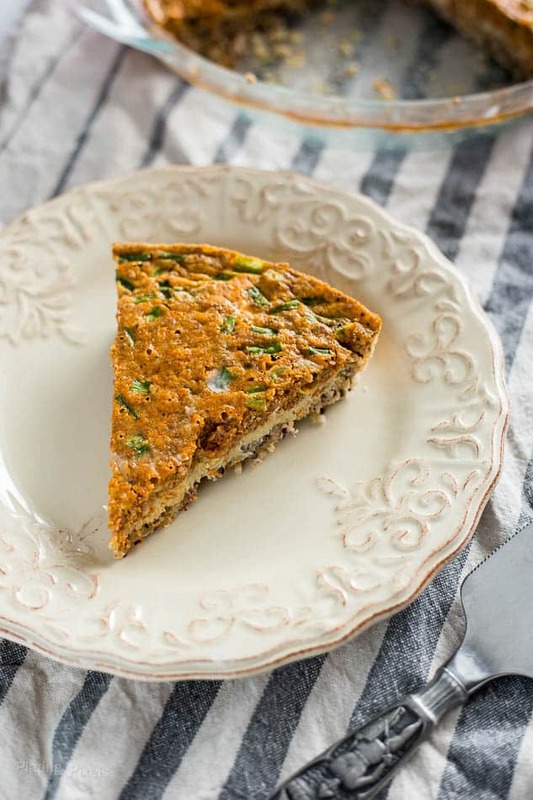 If you’re a fan of quiches but have gluten-free restrictions, then try one with a quinoa crust. It’s got a dense and chewy texture, with plenty of nutrients. Filled with chorizo, egg, milk, cheese, green onion, and spices, then baked into a wholesome, all-in-one breakfast quiche. 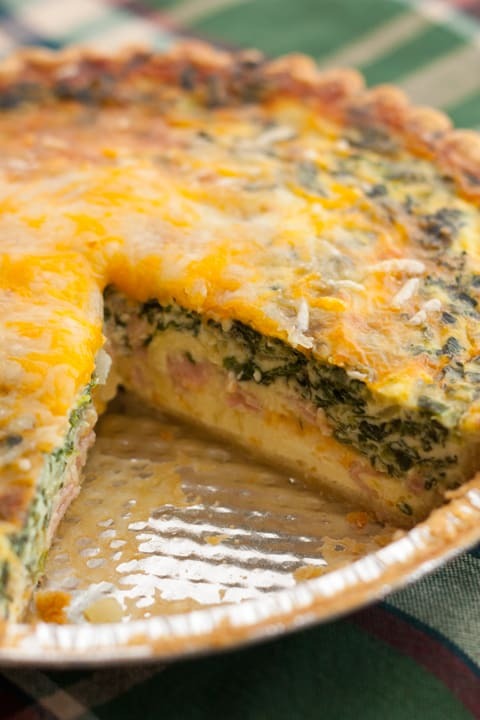 A mixture of mushroom, spinach, ham, and cheese creates a creamy, rich and moist quiche. It’s easy to assemble and uses store-bought crust to save time. Scones don’t have to be sweet and full of empty calories. Try this healthier whole-wheat variety with ham and cheese baked right in for added protein. 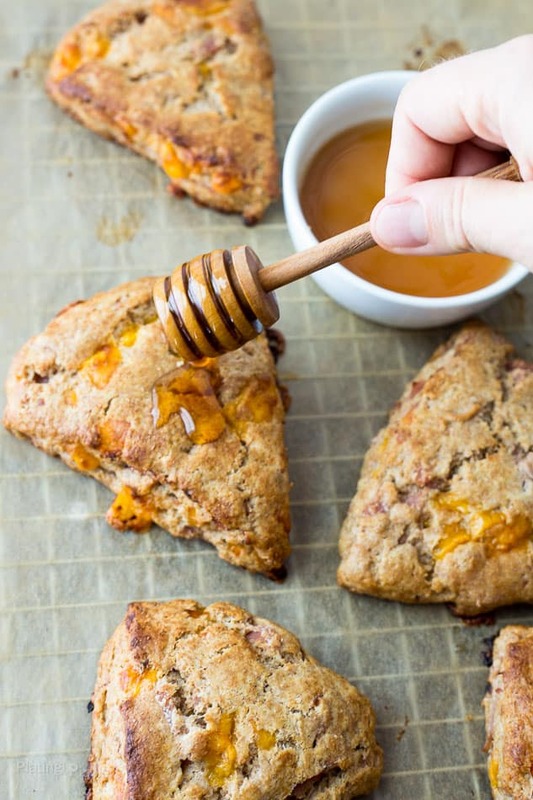 Top these fluffy and crisp scones with a bit of honey for a sweet and savory combo. If you want to show mom just how sweet she is, these sweet breakfast recipes will do that. They’re truly unique and will satisfy any sweet tooth. Pair them with some of the savory recipes above, or enjoy them as a special treat on this special day. This will satisfy your sweet tooth and is a unique spin on basic French toast. Banana combined with brown sugar glazed bananas and a silky cream cheese center melds with a fresh strawberry compote topping. Who said crepes have to be difficult or time-consuming? 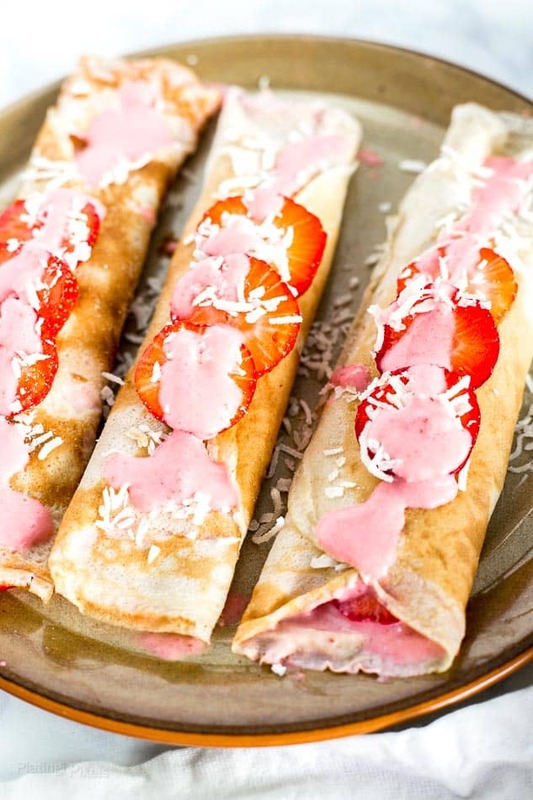 These dairy-free, diet friendly, breakfast crepes are topped with a coconut milk and strawberry puree glaze and come together in less than 20 minutes. Plus you’ll learn a secret to making crepe batter fast, with no soaking time needed. Are you a fan of eggnog, but want to enjoy more than just during the holiday season? 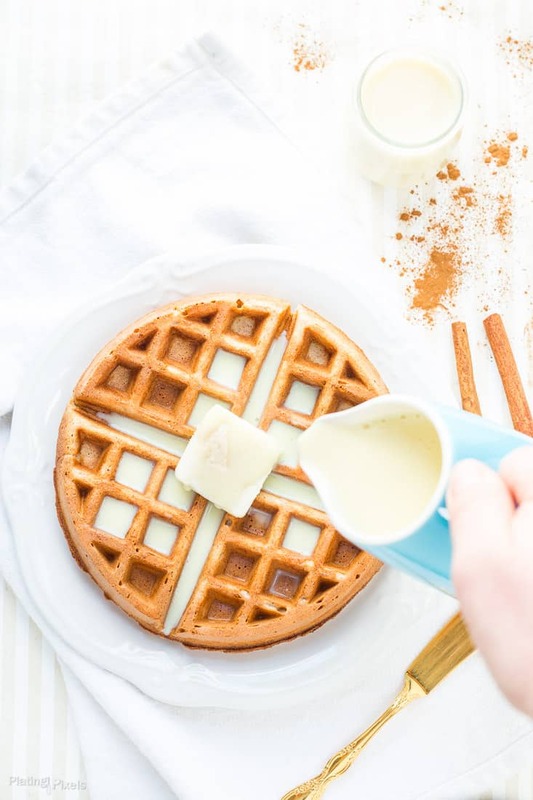 Now you can with these wholesome waffles that are naturally sweetened and made with oat flour. It’s got eggnog cooked right in for loads of flavor. A quick and easy pancake breakfast that still has a decadent feel. 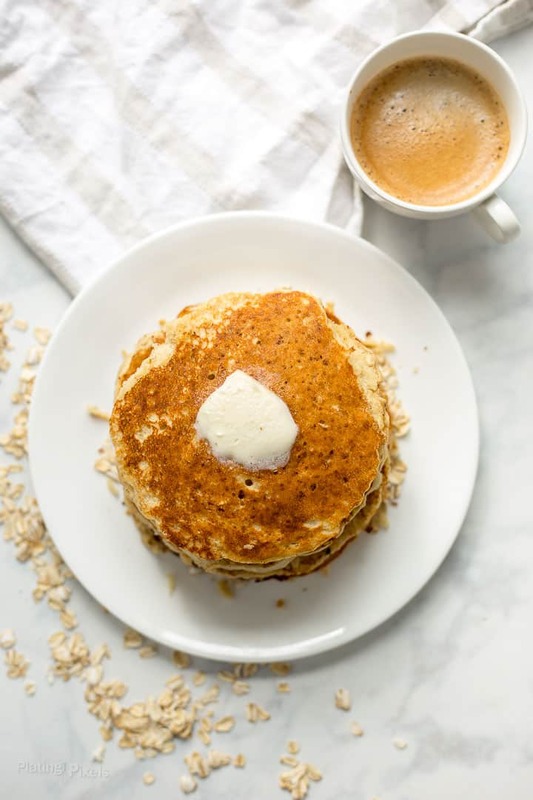 These lightened-up oatmeal pancakes are dense, yet fluffy and moist. Made with wholesome ingredients including oats, almond flour, olive oil, eggs, and banana. 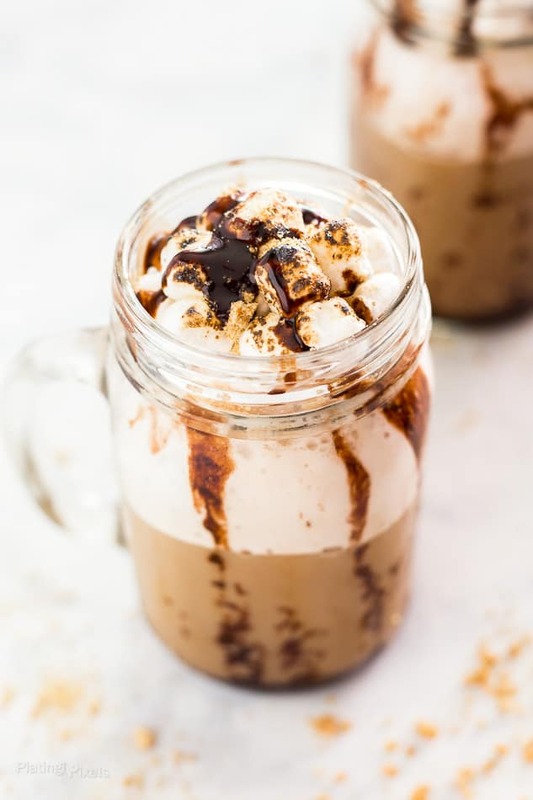 If you ever went camping as a child you’ll love this Homemade S’mores Frappe. Made with espresso, milk and toasted marshmallow syrup. It’s topped with chocolate sauce, graham cracker crumbs, and toasted mini marshmallows for a truly authentic s’more experience in a cup. If you want to save time, or are traveling to visit mom, bake these recipes before Mother’s Day. They’ll last at last a couple of days and are great leftover. Serve as is or warm up to enhance the flavors. Who doesn’t love a single-serving, perfectly proportioned just-for-mom breakfast dessert? 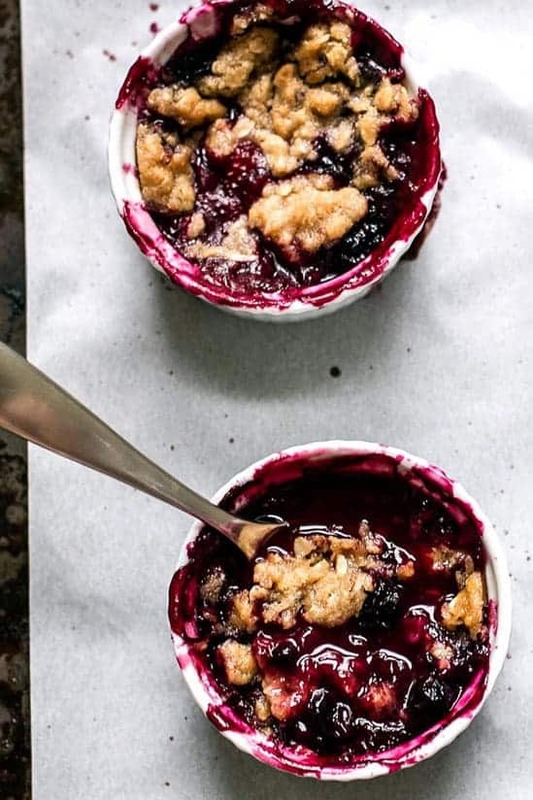 These fruity sweet berry crumbles are easy to make and will be a striking addition to your Mother’s Day breakfast. While technically fall flavors, you can enjoy this Fig, Pear and Apple Crisp any time of the year, including Mother’s Day. 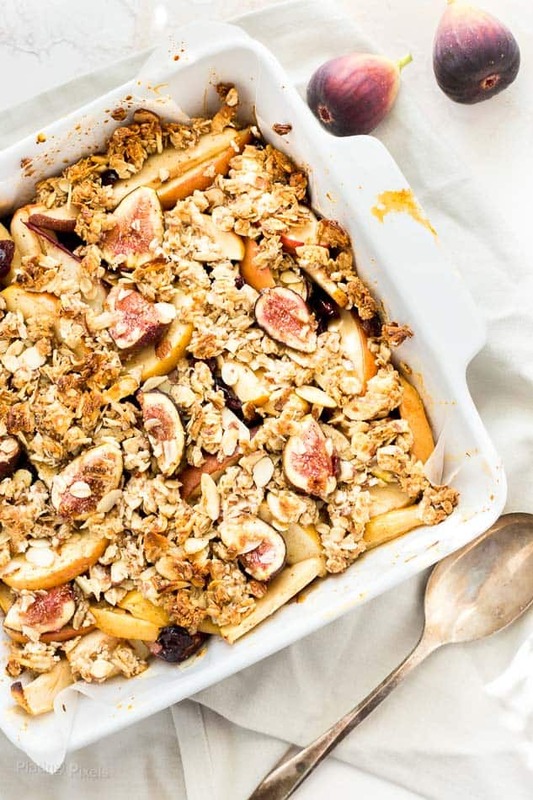 This gorgeous fruit bake is covered with a crumbly, golden almond and oat crisp topping. 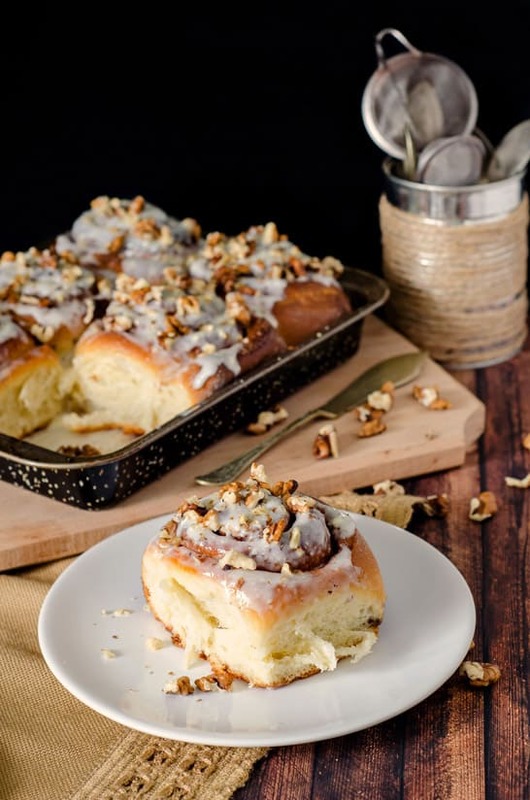 If you’ve ever wanted to make homemade cinnamon rolls from scratch, then this recipe will teach you how. Its a great alternative to the store-bought variety which often contains preservatives and artificial ingredients. 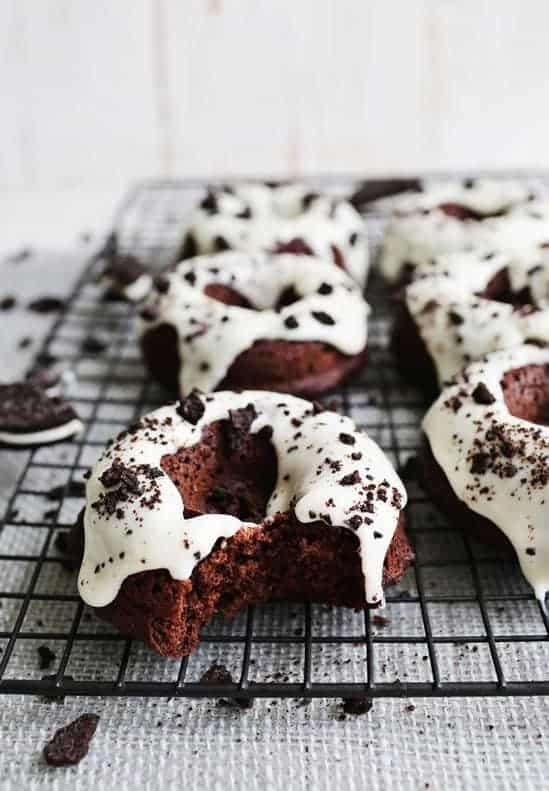 Chocolate donuts with cookies and creme flavor will add a bit of decadence. Good news is they are baked for less mess and a healthier alternative to fried donuts. They have a crumbly (not dense) texture and are topped with a silky cream cheese glaze. 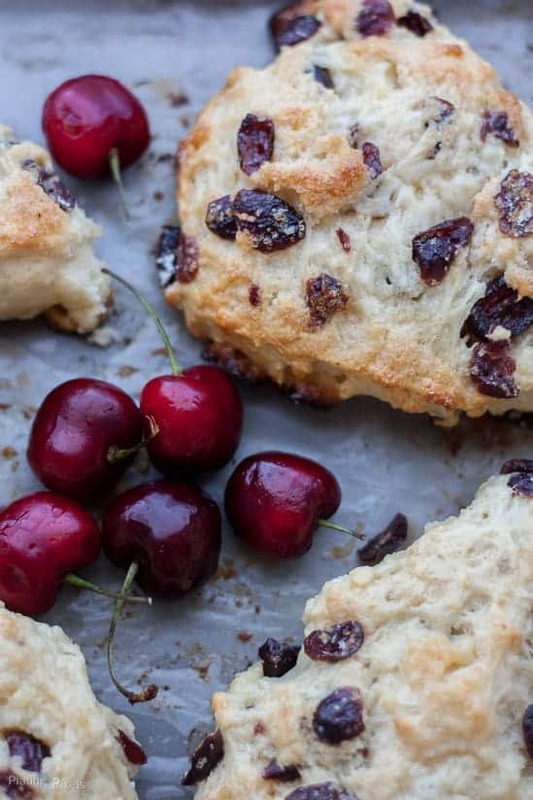 This White Chocolate Cranberry Scones recipe is baked with cherry yogurt for a healthier option that creates moist, flaky scones. White chocolate and dried cranberries add sweet texture that creates a divine flavor combination. The following recipes will create a brunch mom will never forget. They’re twists on classic breakfast staples that meld together unique flavors and textures. I was blown away by this French toast in bite-size form recipe. 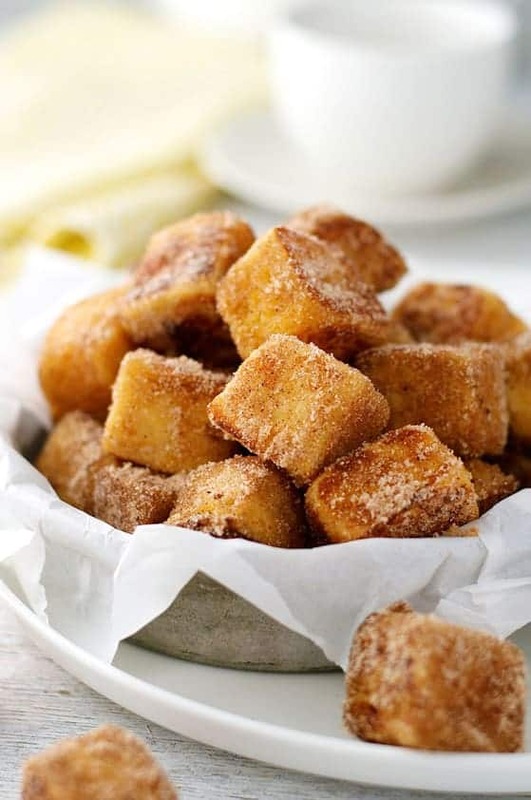 These Cinnamon French Toast Bites are “sautéd” to create crisp outsides that compliment the chewy insides. Coated in cinnamon sugar for a one of a kind brunch treat. 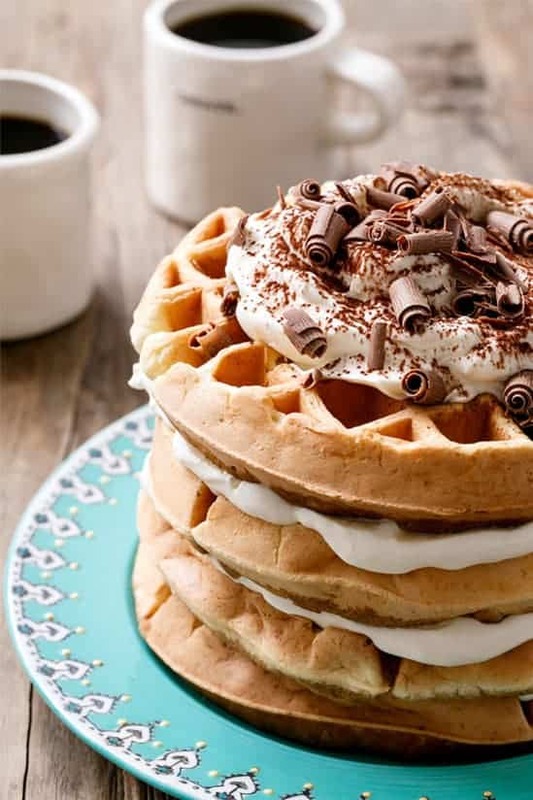 Now you can have your cake and eat your breakfast too with these tiramisu waffles. Large, fluffy waffles layered with a homemade mascarpone creme filling. I’m tempted to enjoy it outside of brunch hours as a dessert! If you like this Mother’s Day Brunch recipes roundup please share or let me know your favorites. Are you following me on Pinterest, Facebook, Twitter, and Instagram? Also, sign up for our newsletter to get all our recipes and cooking tips. Show mom just how much she means to you with these 20 Mother's Day brunch recipes. 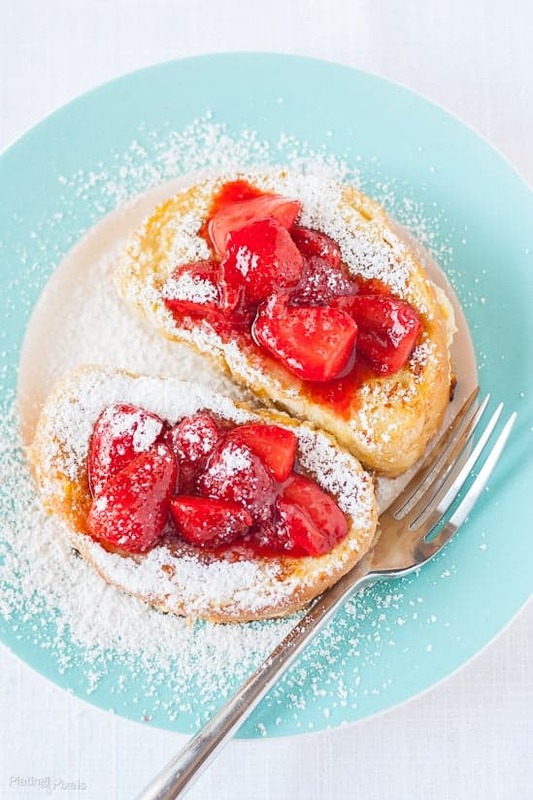 From French toast, crepes, waffles, pancakes, muffins, donuts, quiches, biscuits and gravy, scones, and other sweets, here you'll find the best brunch recipe ideas for Mother's Day. These are all awesome ideas for brunch to celebrate! Great collection! I tried to pick a favorite, but everything looks so tasty – I’d be happy with any of these for Mother’s Day morning! Brunch is definitely a favorite of mine, I love the sound of so many of these dishes – which to try first?! What a great collection. These all look fantastic! Will definitely be trying some of these. So difficult to choose! So many fab recipe ideas! Since Mother’s day actually falls on my birthday this year, it’s going to be a double celebration!! Going get my hubby to have a look at this post. After all he’s the one who’s going to be doing the cooking! Me? I’ll be sitting in the garden enjoying the spring sunshine, hopefully! I don’t even know where to start, these all look so delicious! I’ll take that as a compliment. Thanks Rebecca! What a great collection of brunch recipes. I’m excited to try the french toast bites. Cinnamon and sugar get me everytime! I agree, is a fabulous combination. Thanks Kelly! What a fabulous list of recipes. This is definitely going to be hard to decide which ones to make first. You could always try more than one of them. Thanks Andrea! I am going to have to share this with my husband and kids…hint…hint. Maybe they will surprise me on Mother’s Day with some of these amazing brunch options! They all look so tempting! That’s a great idea Sherri. I hope they get the hint and surprise you as well! Thanks Nagi! Your recipe is amazing and honored to feature it! Of course April. I was happy to!